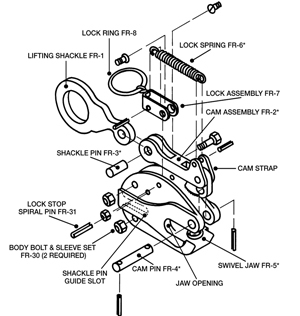 Vertical Lifting LockingThe Model FR is a vertical lifting tool for relatively light work. It is small and easy to handle in capacities through three tons. 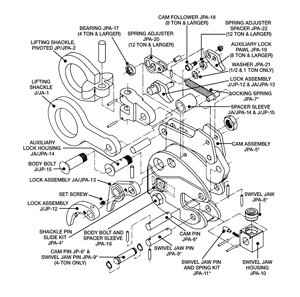 It incorporates a “Lock Closed” feature which facilitates attaching the clamp to the plate. Vertical Lifting LockingThe Model JP is a vertical lifting clamp capable of turning a single plate or member from horizontal to vertical and back to horizontal through the same 90 degree arc. 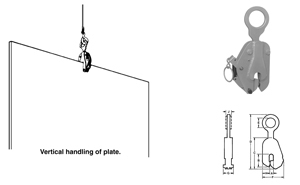 To view our selection of Magnetic Lifting Devices, click here.